Fanplayr, a company established in Palo Alto, that offers those in e-commerce operates a technology capable of generating incentives in real time and are designed specifically for each client, after two years of continuous growth, launches new features and focuses on the mobile. Among the new features include advanced methods of segmentation and targeting, the ability to customize 100% different types of widgets and banners and dashboards based on the most important KPI. 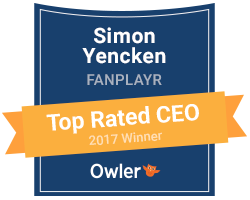 In recent months Fanplayr, only in Europe, has won customers such as Alitalia, Lenovo , Microsoft , Yamamay, El Corte Ingles, La Redoute and Toys Center for which has enhanced the results of the online store also mobile. This analysis stems from the proposed solution Fanplayr, whose technology is based on an artificial intelligence algorithm that tracks visitors and customers of an online store and traces the behavior. Once you have collected a sufficient number of profiles and information, Fanplayr allows the identification of visitors and customers with a similar profile and generate targeted offers, able to convert visitors into customers and, depending on the strategies required by individual e-store, to increase the convertion rate, or the average basket to every buyer. After the successes of web side, Fanplayr focuses on upgrading of mobile purchases, exploiting the potential of smart targeting and segmentation fully dedicated manner and focusing particular attention to the experience of buying multi-device. On online store as Maseratistoreand PiquadroFor example, the mobile widget brings up Fanplayr offered to visitors in a personalized way. The widget is non-intrusive: the offer remains visible to the user while browsing and is directly applied in the cart. After revolutionizing the affiliate market in Italy in 2014, when Mariano Tripiciano Italy has launched a global partnership with Zanox, TradeDoubler, Webgains and CJ, four of the leading international affiliate network, today Fanplayr is the underlying technology dozens of successful online store including Alitalia, Lenovo, Microsoft, Lamborghini, El Corte Ingles and Unilever.